US NEWS: DivX TV launches on LG Blu-ray players and home cinema systems | What Hi-Fi? US customers can receive the web-based TV service on LG's BD550, BD570 and BD590 Blu-ray players, as well as its LHB335, LHB535 and LHB975 home cinema systems. DivX TV already offers a growing library of more than 10,000 high-quality videos, and new services just added include Baeblemusic, Howcast 'How To' videos, Video Detective.com, OneScreen Media Exchange enabling channels branded by genre (eg: cooking, health, automotive etc) and New York Financial Press. Peter Reiner, senior vice-president of marketing for LG Electronics USA, says: "DivX TV brings a rich variety of compelling content to LG Blu-ray customers, enhancing their connected home entertainment experience." 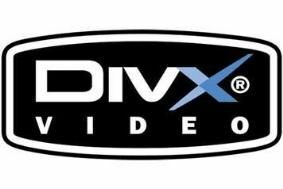 To find out more about DivX TV, read our earlier news story.